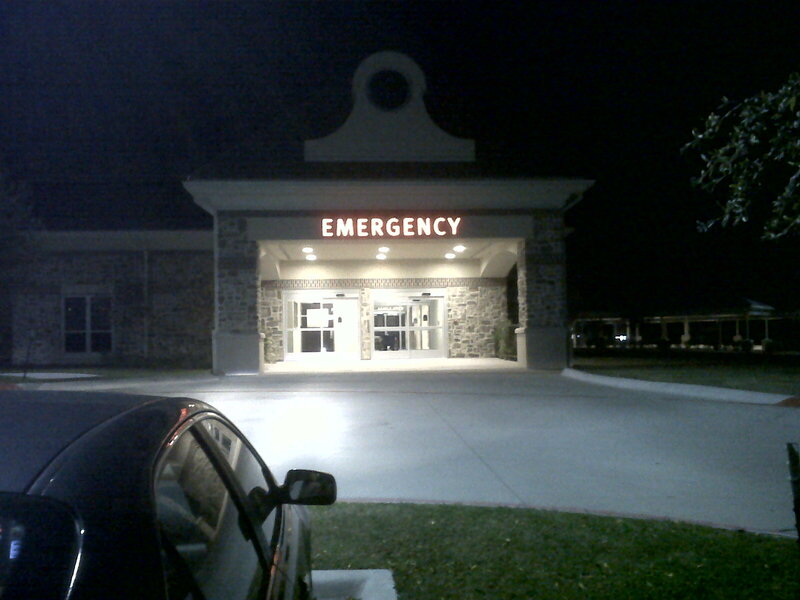 Yep, I spelled turkey with an ER because that is where I ended my Thanksgiving day. I just got back from my first visit to the ER in my 4 years of living and I would like to make that my last visit. So here’s what happened. I was playing at my house and being silly by sticking my tongue out and I hit my chin on the top of my couch and bit my tongue in the middle. While that doesn’t seem like such a big deal understand that the cut was about a tooth and a half wide (approx 1/4″) and about 1/8″ deep at an angle. I cried very little and kept talking a lot so my folks thought I was okay. 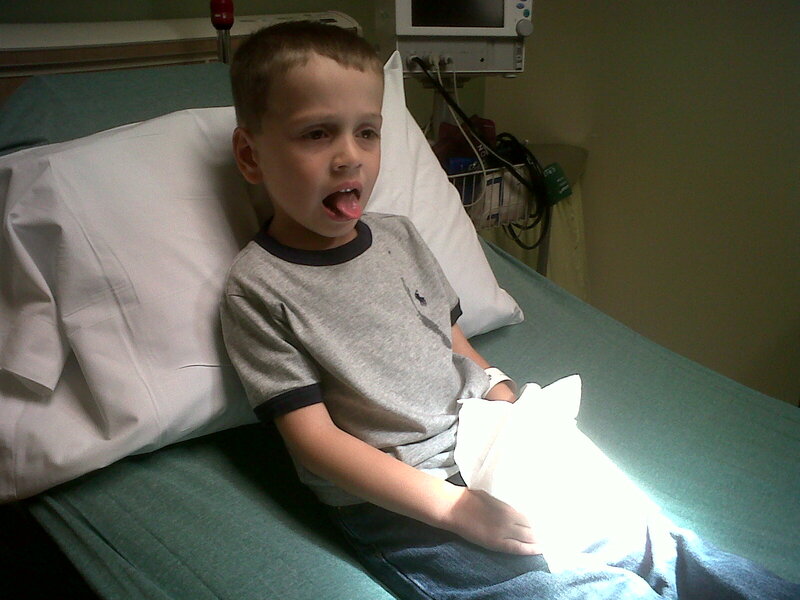 They Googled tongue cuts and most of them said that the tongue heals fast and that unless it was gaping or bigger than 1/2″ no stitches were typically required. At the time, my cut didn’t seem to be gaping so they figured I would be okay. Mommy went off to work a little while later and daddy was curious how my cut looked so I showed him. He began to get a little concerned because it didn’t look like it was staying closed after all – it was gaping I tell ya. 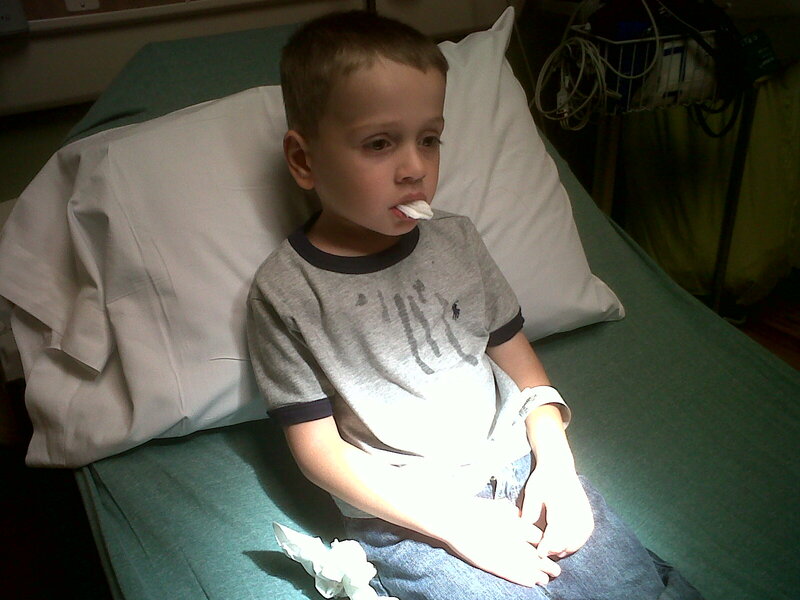 So after exchanging a few texts with mommy, daddy decided to take me to the ER to have it looked at. He felt worst case I would have to get a stitch and best case would be I would only get some medicine to keep it from getting infected. Needless to say, we were both hoping for best case here…..we weren’t so lucky. 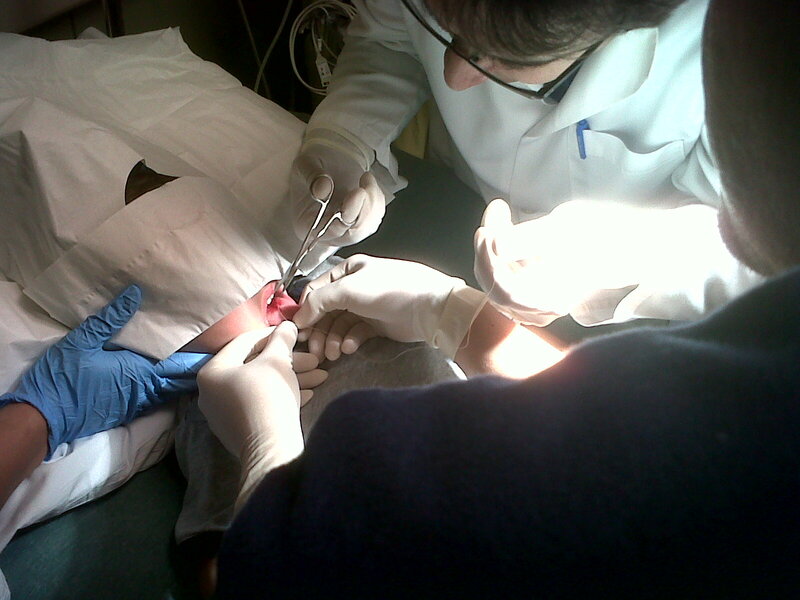 I ended up getting TWO STITCHES IN MY TONGUE!!! Okay, this meant that the doctor had to numb my tongue so they could sew it back together. They put some numbing gel on my tongue which made it feel silly and made me drool a lot. Then they gave me FOUR SHOTS IN MY TONGUE!!! The first couple kind of hurt, but not too bad. I didn’t cry, jump, scream, or anything. 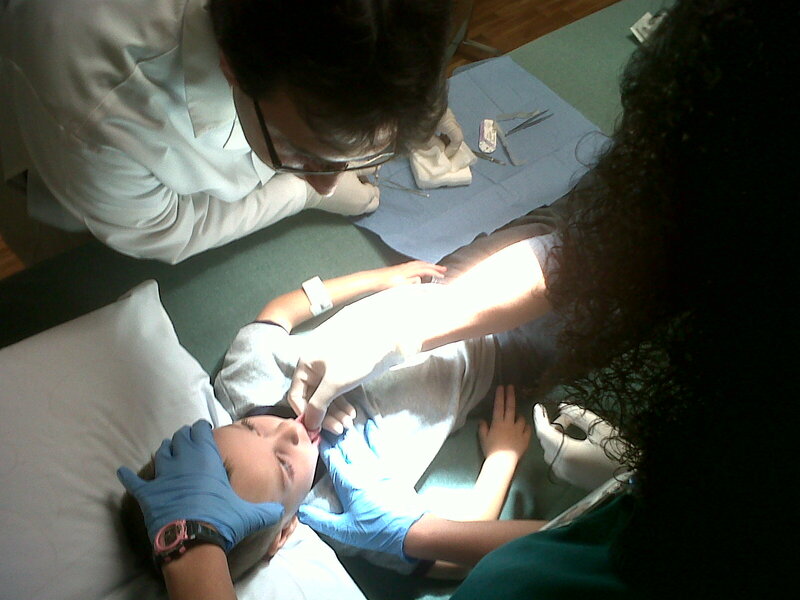 My tongue flinched a little bit on the first couple, but another doctor was holding my tongue so no harm. 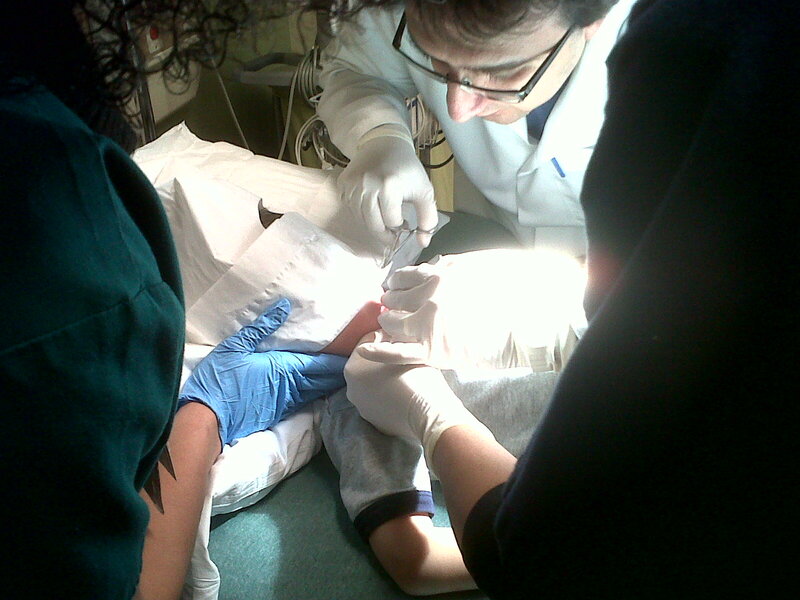 After that, they used two stitches to make me all whole again and I didn’t feel a thing. Daddy said he was hurting for me and that he was a bigger baby than I was – he should try getting all kinds of needles in his tongue. 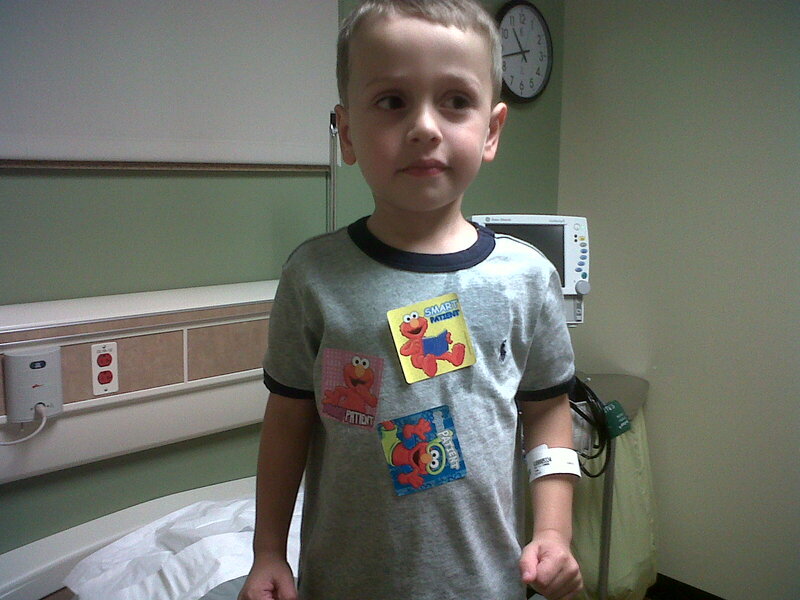 After the doctor was done, he brought me 3 stickers for being such a good boy during the whole thing. They were like my medals for being so brave. 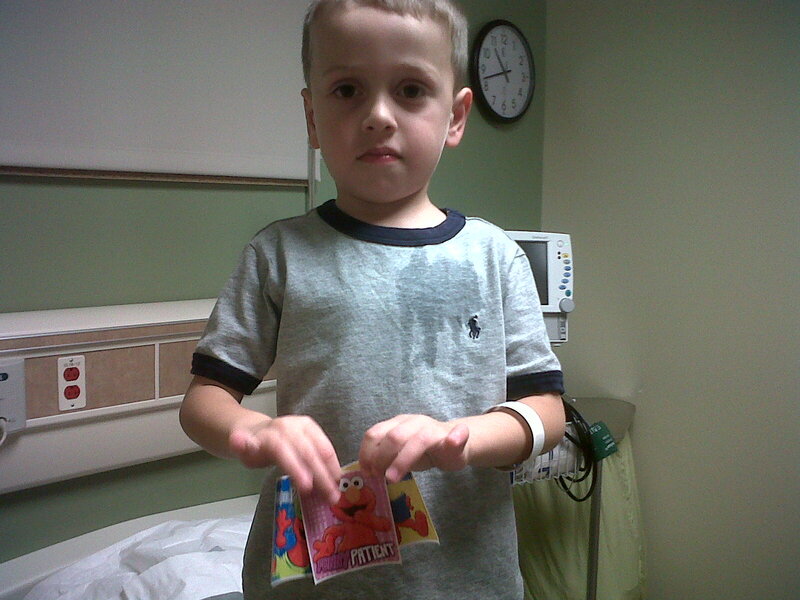 Daddy wanted to know where his were for being so brave too, but the doctor didn’t give him any – I gave him one of mine. I’m on the mend now so big ups to the nigh time ER doctors and nurses at Methodist McKinney Hospital. I’m glad I had you, but hope I never see you again….oh well, chicks dig scars.